Despite being the smallest county in England, Rutland has a lot to offer you, hence the county motto ‘Multum In Parvo’ which means ‘Much in Little’. Julia Bradbury, TV Presenter, who has travelled across the UK and some of the wider world, is a big fan of the county and believes that everyone can find “a bit of what you’re looking for in beautiful Rutland”. Set in the picturesque village of Langham, near Oakham – Rutland’s capital – this is an ideal base for enjoying glorious nearby Rutland Water, a paradise for cycling, sailing, wildlife, windsurfing and fishing. Manton 18-hole golf course and the spectacular Stapleford Park Country Club offer more delights within only three miles. Rutland Water is set in over 3000 acres of beautiful countryside with a 25 mile scenic track around the reservoir, which is ideal for fishing, cycling or strolling. 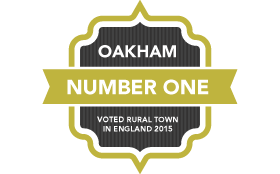 If you are looking for a local town, the picturesque village of Oakham is only two miles away and offers a range of boutique shops and restaurants, or if you prefer, wander though the market place or take a trip to Oakham castle! Rutland is the friendliest place in England. It found that 85 per cent of people living in Rutland were very satisfied with their life. And 87 per cent of people in Rutland feel that what they do is worthwhile. Some of the characteristics that make Rutland. Rutland also has excellent schools, with 67.4% of pupils achieving GCSEs at grades A-C. This places Rutland in the top 10% of districts for GCSE performance nationally. It is an extremely healthy place to live. Life expectancy, at 81.8 years is in the top 1% of districts nationally. Rutland is uniformly prosperous: levels of deprivation are amongst the lowest in England, and there is relatively little inequality. If you enjoy the great outdoors, then you will find lots of things to enjoy in this rural retreat. Outdoor sports are extremely well catered for with plenty of walking and cycling available, plus fishing, golfing and a huge choice of watersports that take place on Rutland Water. The family can Discover Rutland with a Treasure Trail, a fun way to see our market towns! Rutland is a great place to pursue an interest in your surroundings, be it a passion for wildlife and nature or an enthusiasm for gardening, you can find it here. There are two nature reserves around Rutland water, with many hides providing a great opportunity to spot a rare bird to two – or you can visit one of the many attractions inspired by the pleasure of gardens and shrubbery, the delightful Barnsdale Gardens is one not to be missed. If you prefer to stay indoors there are plenty of places for you, including theatres, art galleries and unique shopping in our two Market Towns. Also surrounding Rutland Escapes is the beautiful estate of Stapleford Park Country Hotel. The award winning estate offers both comfort of their luxury spa, as well as an exceptional championship golf course and a range of leisure activities and country pursuits – which include: polo, shooting and many more. Egleton is famous for its bird-watching centre. Sailing and windsurfing are popular, and you can try rock climbing at Rockblok on the shore.